A gas line that was ruptured during construction in Mountain View resulted in road closures Saturday morning. The gas main break was reported in the 1500 block of El Camino Real, according to police. A PG&E crew responded to the scene and capped the gas main break around 10 a.m., PG&E spokeswoman Karly Hernandez said. "Crews are working as safely as possible to make sure the gas is shut off," Hernandez said. 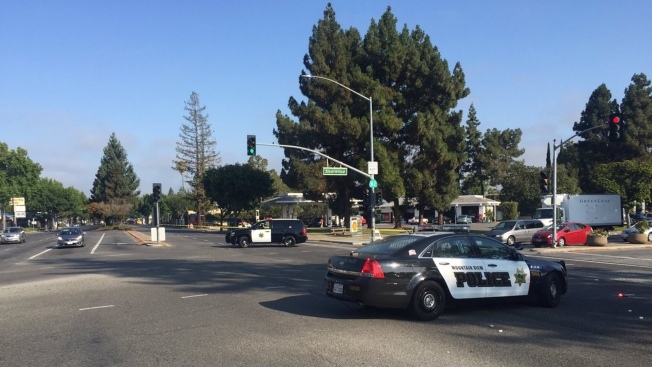 Police closed El Camino Real between Shoreline Boulevard and El Monte Road in both directions, they said around 8:30 a.m. The road was reopened around 10:15 a.m., but police expected residual delays. During the incident, a power transformer was also knocked out, affecting just a handful of customers in the immediate area, according to police. PG&E expects power to be restored between 1 and 2 p.m. According to PG&E, the gas main break was unrelated to the power outage.